You are at:Home»News»Editorial»Who Do You Trust? Comey or Trump? The day before this Superbowl-like spectacle of Senate hearings kicked off, Comey released a 7-page written statement to set the stage for the next day and act as the basis for inquiry for the panel of Senate leadership. In response to Comey, Trump’s personal lawyer Marc Kasowitz made a statement on Thursday afternoon disputing some key parts of the former FBI Director’s testimony (while also affirming some of what Comey said). 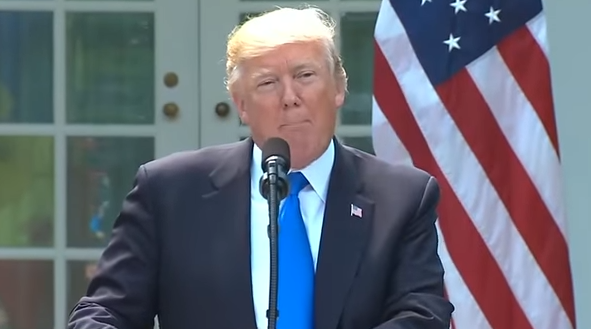 Then, on Friday afternoon during a joint press conference with the Romanian President in the White House rose garden, in response to a question from a reporter, Trump directly (and rather defiantly) disputed Comey’s testimony, adding he was “100%” ready to testify under oath to his side of the story. The sitting U.S. President and the former FBI Director he fired just last month are offering contradicting accounts of their one-on-one meetings which seem impossible to reconcile. “My instincts told me that the one-on-one setting, and the pretense that this was our first discussion about my position, meant the dinner was, at least in part, an effort to have me ask for my job and create some sort of patronage relationship. That concerned me greatly, given the FBI’s traditionally independent status in the executive branch. I replied that I loved my work and intended to stay and serve out my ten-year term as Director. And then, because the set-up made me uneasy, I added that I was not “reliable” in the way politicians use that word, but he could always count on me to tell him the truth. I added that I was not on anybody’s side politically and could not be counted on in the traditional political sense, a stance I said was in his best interest as the President. “A few moments later, the President said, “I need loyalty, I expect loyalty.” I didn’t move, speak, or change my facial expression in any way during the awkward silence that followed. We simply looked at each other in silence. The conversation then moved on, but he returned to the subject near the end of our dinner. At one point, I explained why it was so important that the FBI and the Department of Justice be independent of the White House. I said it was a paradox: Throughout history, some Presidents have decided that because “problems” come from Justice, they should try to hold the Department close. But blurring those boundaries ultimately makes the problems worse by undermining public trust in the institutions and their work. “When the door by the grandfather clock closed, and we were alone, the President began by saying, “I want to talk about Mike Flynn.” Flynn had resigned the previous day. The President began by saying Flynn hadn’t done anything wrong in speaking with the Russians, but he had to let him go because he had misled the Vice President. He added that he had other concerns about Flynn, which he did not then specify. “The President then made a long series of comments about the problem with leaks of classified information — a concern I shared and still share. After he had spoken for a few minutes about leaks, Reince Priebus leaned in through the door by the grandfather clock and I could see a group of people waiting behind him. The President waved at him to close the door, saying he would be done shortly. The door closed. Trump: 100 percent. I hardly know the man. I’m not going to say ‘I want you to pledge allegiance’. Who would do that? 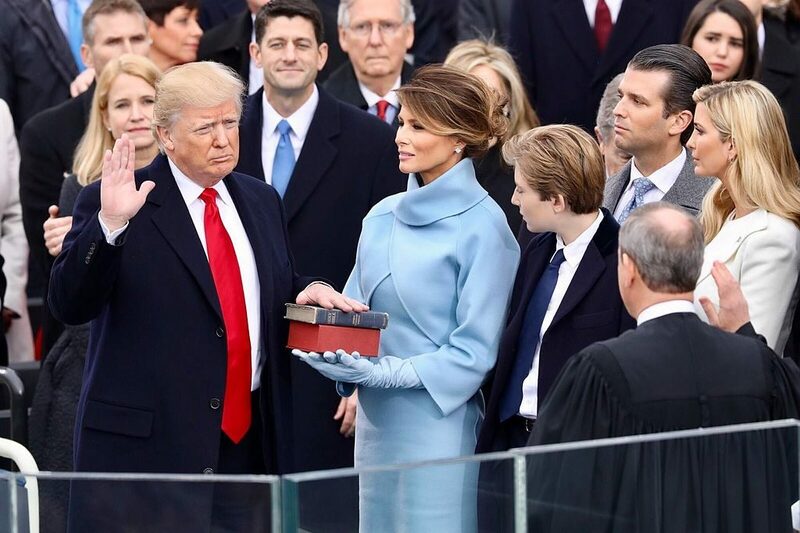 Who would ask a man to pledge allegiance under oath? Think of that. I hardly know the man. It doesn’t make sense. I didn’t say that and I didn’t say the other. Trump: I’d be happy to tell you what I just told you. And so, there it is. In multi-colored contrast. He said. He said. Comey v. Trump. One man’s word set directly against another. Leave Russia aside for a minute. Assume there was no cooperation or collusion between Trump’s team and any foreign entity. Leave aside politics, too. Forget about your feelings about Obamacare, Trump’s border wall, tax reform, etc. This apparent impasse actually provides us a rather conveniently apolitical moment in which we can use our common sense and intuition to weigh the character of men whose testimonies are mutually exclusive. 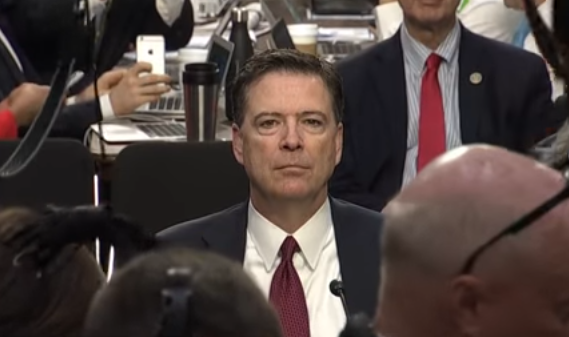 Focus on these two men, Jim Comey and Donald Trump, and their words. The former FBI Director, whose voluntary testimony under oath was based on contemporaneous memos he wrote immediately following his meetings with Trump and circulated to numerous high-ranking intelligence members? Or the sitting President, a former reality TV star who championed the Birther movement, insisted on big league inauguration attendance (and an effort by the media to cover it up) despite photographic evidence to the contrary, and suggested a link between Ted Cruz’s father and Lee Harvey Oswald just prior the assassination of John F. Kennedy?